*After a storm of ridicule on social media, DHS updated the statement linked below with improved grammar on Friday, December 14. You can find a screenshot of the original version below. 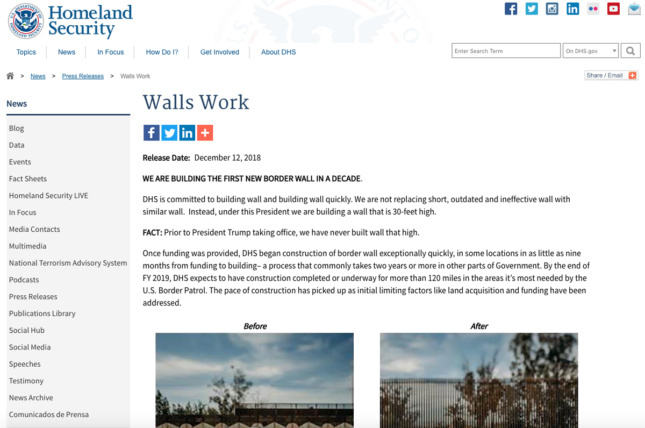 Yesterday the U.S. Department of Homeland Security sent out a poorly written yet rather braggadocious press release about President Donald Trump’s completed border wall projects along the U.S.-Mexico border, as well as the other sectors that are closing up construction. Considering how testy Trump has been this week about securing funding for the rest of the wall, the timing of this grammatically-incorrect piece of government literature is very odd. We are not replacing short, outdated and ineffective wall with similar wall. Instead under this President we are building a wall that is 30-feet high. FACT: Prior to President Trump taking office, we have never built wall that high. Weird, but not new information. 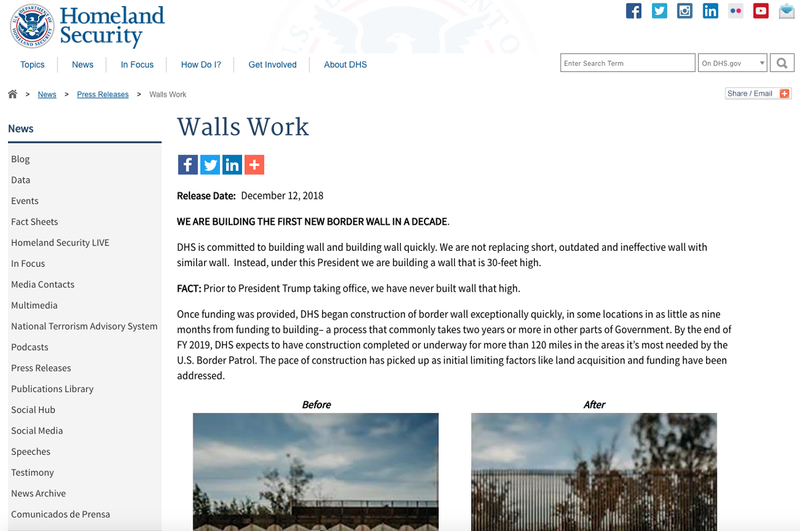 The message details just how quickly several key sections of the border wall have been constructed and where work is still being done. 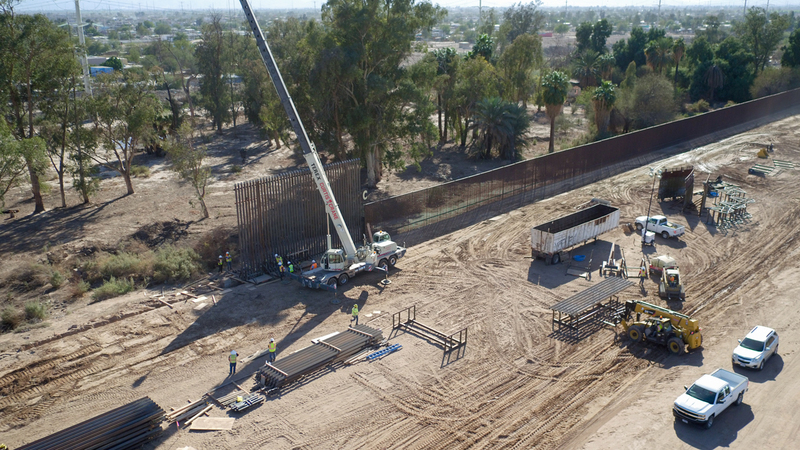 Citing the completed route near the El Centro Port of Entry in Calexico, California, as well as a finished 20-mile stretch across El Paso’s border in Texas among others, the release notes that as of November 21, over 31 miles of the border wall have been replaced or repaired. Another section in El Paso and a 14-mile project in San Diego are estimated to finish construction in 2019. The tone throughout the press release seems fueled by Trump’s rhetoric. Much like how the president spews fast “facts” and statistics in his press and public appearances, this statement reads just as punchy and pointless. The point of the release is not only to showcase the supposed “success” of the areas constructed thus far, but also to increase the hype around funding—which is a contentious topic this week in particular. In a televised meeting on Tuesday with House-Designate Speaker Nancy Pelosi (D-CA) and Senator Chuck Schumer (D-NY), Trump threatened a government shutdown in the name of border security if Congress doesn’t allocate the $5 billion he wants by December 21. Today, he said that the money saved through his new trade deal with Canada and Mexico will actually help pay for the wall. Pelosi and Schumer have already called the assertion absurd. Many of the dollar figures thrown around in this error-laden statement refer to the amounts that Congress has provided for the border wall in the past, specifically in the fiscal years 2017 and 2018, but Pelosi doesn’t seem keen on allowing Trump to have his way when the new Congress takes over in January. 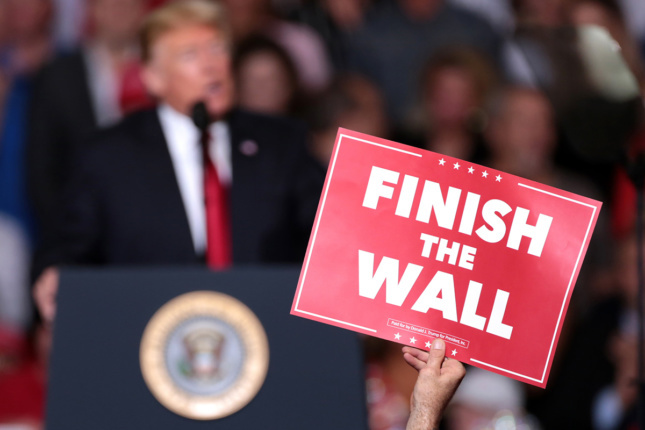 However the money is obtained, or rather if the money is obtained, according to DHS, over 120 miles of the new border wall portions will be completed or underway by the end of next September.